Hot on the heels of the recently created Amiga Works Kickstarter campaign, by musician Allister Brimble, comes another exciting retro project. This new campaign hopes to raise enough funds to enable the creation of a 300-page, full colour, hardback book, covering the history of Ocean Sofrware, from 1983 to 1998. The book price starts at £25, with some exciting perks further up the financial ladder, should you with to put more money down. These perks include signed copies of the book and framed posters by the legendary Ocean artist, Bob Wakelin. "Ocean Software was a revered and well respected software house all over the world, producing and developing iconic games throughout the 8 and 16-bit era. 'The History Of Ocean' will unfold the story of Ocean; exploring the company's origins, its employees, their games, their music and the iconic artwork that placed the company at the forefront of the games industry for over a decade. With your support we want to produce the definitive Ocean book - full colour, high production quality and written by Roger Kean of Newsfield, the company that gave us the seminal Crash, ZZap 64 and Amtix magazines". More information, including a 2 minute video detailing the project in full can be found over on the Ocean Software Kickstarter page. Retro Fusion Issue 3 - Out Now! Issue two of Chris Wilkins' retro magazine "Retro Fusion", hit the shelves of Gamestation stores up and down the country and landed on door mats way back in July 2006, selling over 1000 copies. Since then things have been rather quiet, as work and raising a family have taken over much of Chris' spare time. This changed earlier this year however, when once again he got the retro bug and decided that it was time to get another issue put together and eventually released. The problem with producing a magazine is that it requires a massive financial outlay, and this was the big stumbling block. Realising this, Chris turned to crowd funding web site Kickstarter, in an effort to generate the funds needed before any production took place. Support from the retro community came in thick and fast, and after some nail biting from Chris the project eventually reached the required total. "The Indiegoo camaign to raise funds to print Issue 3 of Retro Fusion was a roaring sucess with nearly $3k raised with the camaign itself, and a number of other donations made to the magazine independently". Issue 3 came through my letterbox a week or so back, and now that I've had a chance to read it from cover to cover, I thought I'd report back. The thing that hits you right away is the level of production that's been lavished on this latest issue. Gone is the flimsy cover of early issues, and in its place is a nice glossy card cover. It may be a small thing, but it just gives it a real feel of quality. This standard is maintained as you open the magazine. I have no knowledge of paper grades and standards, but I can tell you that the pages are thick, and the print quality on each is excellent. This gives many newsstand publications a run for their money! As you can see, the issue's certainly a packed one, and not only is it packed, but the content is of a really high standard. It's difficult to pick my personal favourite sections of this issue, because there was so much I enjoyed reading, but if I was forced to name drop I'd have to go for the Plok and Allister Brimble interviews, with my absolute favourite part of the entire magazine being the Ocean Software article by ex-employee Mark Jones. It's an amazing read, and I can't wait for the next part. I don't know if or when Chris plans to release issue 4 of Retro Fusion, or if it'll require another Kickstarter project, but here's hoping that the wait's nothing like the gap we experienced between issues 2 and 3. If Chris can keep the momentum going I'm certain the number of copies sold will increase issue on issue. His biggest challenge now is trying to keep the quality of the content up to the standard of this latest release. It's going to be hard work, but from looking at the editorial contributors section he's certainly not short of people willing to help. The print version of the magazine is priced at £4.95 (for a limited time only), and can be ordered by going to http://www.retrofusion.me.uk. A PDF version is also available to download, priced at £2.50. Those who wish to play Jonathan Cauldwell's Spectrum game "Encyclopaedia Galactica", reviewed in this issue, can download it for £2.00, or order the cassette for a very reasonable £5.00. Now, get your order in! Amiga 1200 - 20 Years Old Today! Released on the 21st October 2002, the Amiga 1200 was Commodore's final budget machine before it filed for bankruptcy in early 1994. Priced at £399, the initial UK pack, entitled "Desktop Dynamite", saw the machine bundled with platformers Oscar and Dennis, art package Deluxe Paint IV AGA, wordprocessor Wordsworth, and operating system Workbench 3.0. The A1200 was a 32-bit system, played host to a 14mhz 68EC020 microprocessor, and came with 2 MB of RAM as standard. The machine also contained the AGA chipset, which increased the color palette from the A500's 4096 to 16.8 million colours. The machine was originally intended to be released with the AAA chipset, offering increased audio and graphical specifications. However, with development lagging behind, the A1200 was rushed to market with the Amiga 4000's AGA chipset instead. 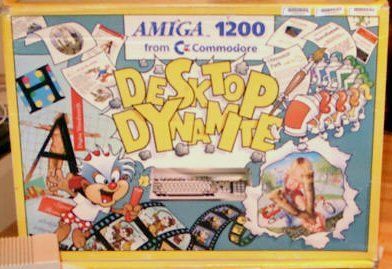 These days, the Amiga 1200 seems to be the platform of choice for those who wish to keep a working Amiga system at home. This is mainly due to the low price of the computer on the second hand market, combined with excellent expansion possibilities. Such is the popularity of the A1200, that even today new hardware is still being released for the platform. These include graphics cards to allow the machine to be connected to high definition displays, RAM and CPU expansions, and even compact flash card adaptors. If you're thinking of bringing your A1200 out of retirement you may find that due to Commodore's sourcing of cheap parts the capacitors on your machine have started to go. If your mouse is playing up or your sound has gone or is distorted then you may need to take the top off the case and take a look for leaks. If the caps have gone, don't panic, and certainly don't even think about binning your machine. Pop over to Amibay where a number of forumites are offering cap replacement services. If you'd rather send your machine off to a registered company AmigaKit will also replace the components for you. Raise a glass for the trusty Amiga 1200, and think what might have been had Commodore remained in business. Like many Brits I've recently taken advantage of the free loft and wall insulation scheme brought in by the government, and currently being carried out by hundreds of companies up and down the land. 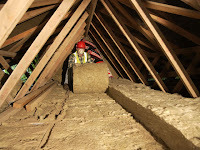 While it's great to finally bring my house insulation up to 21st century standards, (and for free!) it's meant me spending four or five weekends emptying out the loft and sorting through piles of junk prior to the installation. Much of what I brought down from the loft went to either the tip (five trips!) or the local charity shop (two trips), but a good proportion of it got re-organised, boxed-up and put back up there. It was during this sorting and boxing-up process that I realised just how many magazines I had stashed away - the entire run of Amiga Power (complete with disks), almost every issue of Crash from issue 1 until the early 90s, Your Sinclairs from 1986 to 1993, alongside stacks of Amiga Formats, Amiga Shoppers, CU Amigas and even a number of Your Computers. With the loft re-insulated I had less than half the original loft storage space I had before the installation went in, and so I had to bite the bullet and make some sacrifices. Naturally the Amiga Powers, issues of Crash, C&VG, Sinclair User, Nintendo Magazine System, Amiga Formats and Your Sinclair magazines were put in order, boxed up and placed back in the loft, but I simply had to trim the collection. I was out of room! After much thought the following random issues went out for recycling: CU Amiga, ACE, Amiga Shopper, various Nintendo titles, and a pile of chopped-up issues of Your Computer, which as a kid I'd cut all the adverts out of and stuck on my walls (I just loved the Ultimate and Mikro Gen ads back in the day). Thanks to the wonders of modern technology I no longer need to stockpile all these ancient tomes of computer and console coverage as much of it's been scanned in and made available online for free. And it's down to the efforts of those who support the Internet Archive that all these magazines have been put into one place, where they can now be read online or downloaded for offline viewing as and when you want. The full (massive!) list of magazine scans can be found HERE. I'm not sure if retro computer music albums are like buses, but in this instance, you wait for one, and all of a sudden two come along at once. Retro musician, Yerzmyey, has just released two free to download albums. The first, entitled "RetroBeat", features a collection of eight new tracks created with an Amiga 1200, while the second, "Strange Light Under My Bed" was created using an Atari Falcon, a 128K Spectrum, an Atari 520ST, an Amiga and a 48K Spectrum. RetroBeat's got a real oldskool demo sound to it, and you could easily imagine a classic megademo pumping out one of the tracks as vector cubes and bobs strobe across the screen. Meanwhle, Strange Light Under My Bed features strong Jarre influences, with a real late 70s / early 80s sound. For more information, and links to download the albums and CD artwork point your browsers over to: http://yerzmyey.i-demo.pl/. Earlier albums produced by Yerzmyey can also be downloaded from the above site. I'll admit to being a massive fan of computer, console and arcade related films and TV documentaries. I've got a fair old stack of them in the collection, with King of Kong, Pirates of Silicon Valley and Chasing Ghosts being just a few of my favourites. 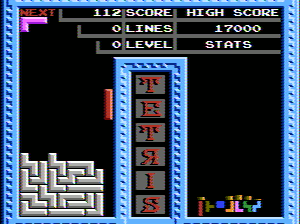 Earlier today I was made aware of a new King of Kong style production entitled "Ecstasy of Order: The Tetris Masters". With an IMDB rating of 8.2 I was keen to learn more about this release, so off to YouTube I went to view the trailer and arm myself with further details. "Ecstasy of Order: The Tetris Masters, [is] a feature length documentary set for release in 2012 that captures the greatest world record Tetris players as they prepare for the Classic Tetris World Championship. From the days of Thor Aackerlund and his historic victory at the 1990 Nintendo World Championships, right up to the present and Harry Hong's perfect "Max-Out" score, this documentary expertly chronicles over two decades of Tetris Mastery". The film is available to purchase on DVD for $19.99 plus shipping, or via a number of download/streaming services including iTunes, Amazon Instant Video, Google Play and more. My thanks go to Twitter user @Wahwah_UK for the heads-up on this. NES Tengen Tetris Prototype Up on Ebay - $45k! "Real or fake? $45k NES Tengen Tetris prototype cart is very cool and VERY rare. But where's the authentication?" Naturally, I had to take a look, and off to Ebay I went. "This is the real deal, the extremely rare and once thought nonexistent prototype of the Tengen Version of Tetris which states Licensed by Nintendo on the title screen. If you are a serious collector and capable of winning this auction, you already know why this cartridge is so rare and so valuable. Why is this cart so important to video game history? This important piece of history was followed by one of the ugliest lawsuits in early video game history. One where Tengen was forced to pull their superior version from the shelves just 4 weeks after release. Only 100,000 units of the production version of Tengen Tetris were sold during that time period. THIS IS A ONE OF A KIND ORIGINAL PROTOTYPE It is possibly the latest build of Tengen Tetris before the legal action commenced. The game is housed in a modified Duck Hunt Cartridge. The EPROMs are protected with a thick tape and the cartridge is glued together to prevent piracy and or duplication. I will NOT attempt to open this cart for pictures of the board for fear it will destroy the prototype altogether. Don't even ask. Less than a handful of these rare pre-lawsuit prototypes ever existed". If you want to add this bad boy to your collection then you'd better have some VERY deep pockets! You can view the Ebay auction by clicking HERE. Watch a video of the cartridge up and running HERE. Read more about the cartridge by visiting this Wikipedia link. Could Mire Mare Finally See The Light of Day?